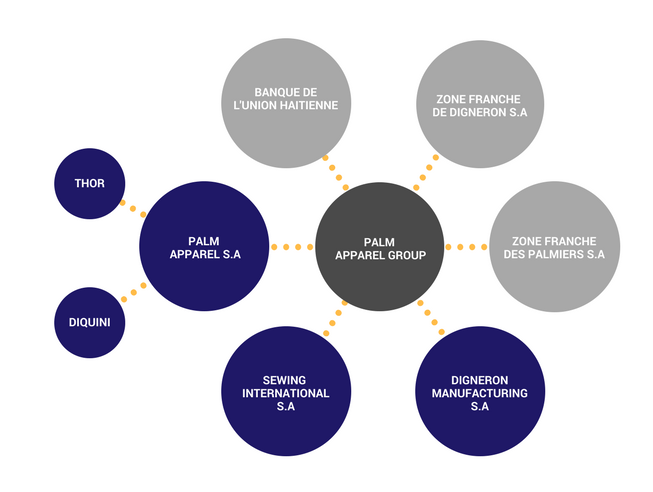 Zone Franche de Digneron S.A. is part of the Palm Apparel Group. Palm Apparel is comprised of a dynamic team of investors whose expertise spans across key sectors in the Haitian economy: textile manufacturing, Free Zone management, and financial services. Our dynamic portfolio is used to create employment and attract foreign investment, as leaders in innovation.